Actually, this jewel in the middle of the sea, which breaks through the surface only at low tide, should be blown up at the beginning of the last century, among other things for safety reasons of shipping. Lucky one had a better mind and this jewel of the Andaman Sea still inspires us. The top dive site is part of the Marine National Park of the Surin Islands and is located east of the Surin Islands, about 1.5 hours from the coast. Details about Richelieu Rock here. The day trip to Richelieu Rock is organized by one of our partner dive centers, who carry out these trips in similar high quality as we do. 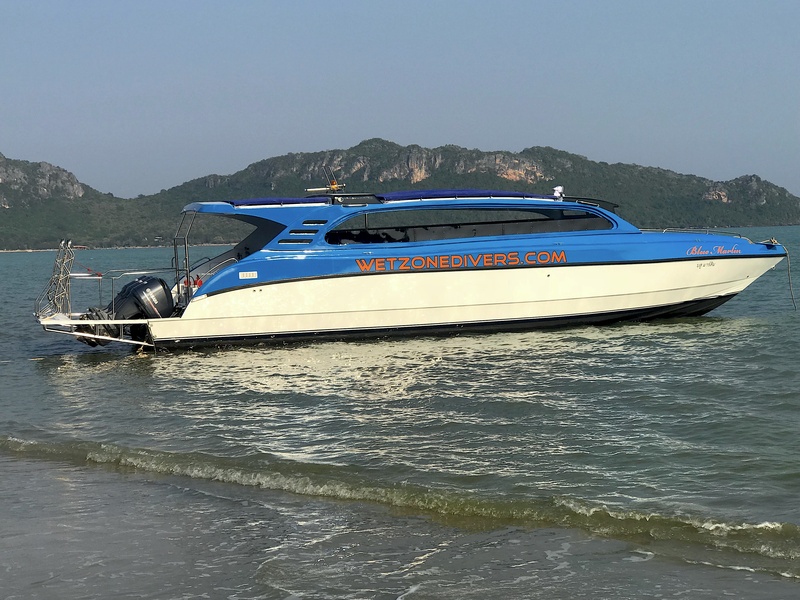 Exit with a modern and fast 3-engine speedboat, 2 dives, surface break with lunch and guided dives. 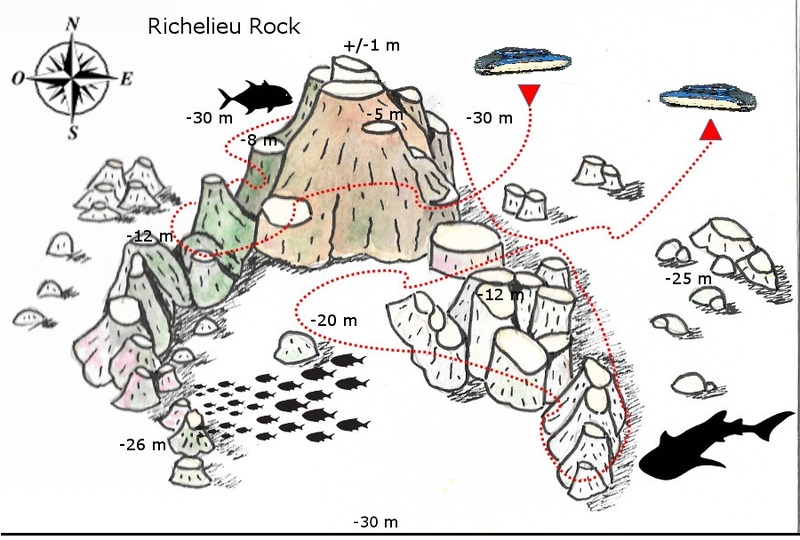 The location of the underwater rock, in the middle of the open sea, where it can already have current, offers a very demanding diving area, which is less suitable for beginners. No snorkelers are logged in on these day trips. The horseshoe-shaped underwater rock is home to schools of mackerel and barracuda that make their rounds here. 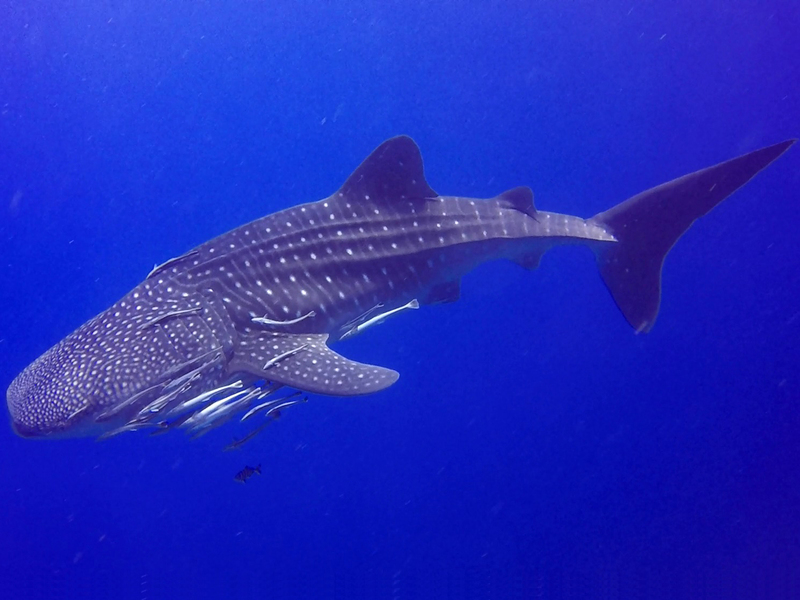 Also Manta rays and especially whale shark encounters are listed here often. The macro friends will truly enjoy the large number of ghost fish, frogfish, nudibranchs and the famous big yellow seahorse.